Turn your meager armaments into blinged-out bazookas of demon killing. The new expansion for Diablo III just keeps looking better. The team working on Reaper of Souls must have been listening to a ton of fan feedback. Barbarians got tired of finding pants with intelligence on them (how does that even work?! ), so they scrapped the old loot system in favor of one that ensures all britches will be relevant to your class' needs. Then they announced a new class with the stalwart Crusader. And now they've given adventurers a new ally in the war on evil: the Mystic. She's not much of a looker, but Myriam Jahzia will be a valuable companion in your struggle against Maltheal's forces. 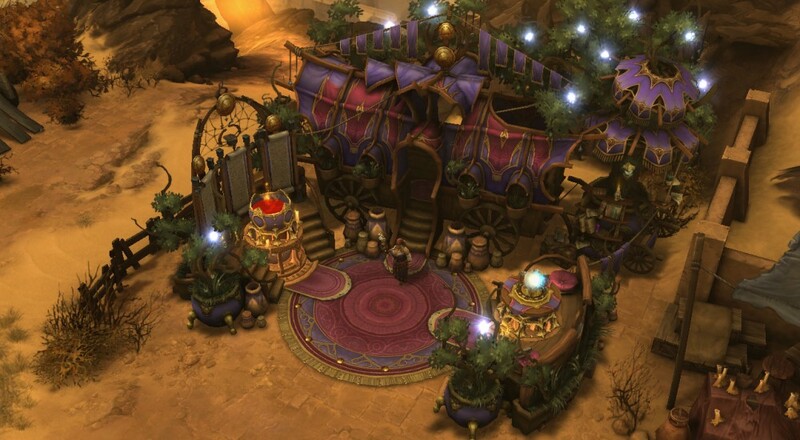 As the third artisan in your entourage, the Mystic provides two useful services for heroes regardless of level. Myriam's skills allow tweaking of item bonuses. Perhaps you've picked up a helmet off of some dead goat-demon-man thing, and after washing off the tainted blood and fur, found it's almost perfect save for an errant stat or two. Pass that thing off to your new Mystic friend and, with the payment of some small components, that pesky stat is rerolled! If you find the new stat is even worse than the old one, you can revert it back. However, once you leave, that stat has been rerolled for good. Myriam doesn't sympathize with buyer's remorse. She's trying to run a business. 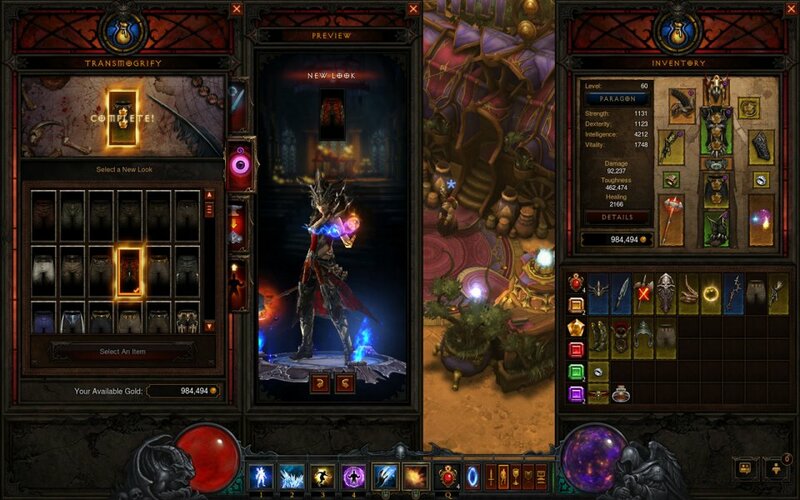 Transmogrification is all the rage in World of Warcraft, so why not put it in Diablo as well? For those not familiar with the concept, let me explain. Say you're a Demon Hunter rocking a sweet crossbow. Its got the Dexterity you need, but it looks a little droll. You put a hole in another goat-demon-man thing, and sure enough, a new crossbow pops out. Its got sick flames on the sides and everything, but instead of Dexterity, it has +25 in Making Silly Faces. Take that thing to Myriam, and she can imbue your current crossbow with the same appearance as the other useless one. With that kind of talent, it's kind of weird she hasn't done it to her own clothes. There's plenty to look forward to in Reaper. I'm excited to get my crew back together and tangle with more fallen angels and goat men when it drops in 2014. Page created in 0.3823 seconds.